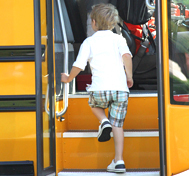 SafeGuard has crash tested more school buses than anyone in the country. SafeGuard®, a brand of IMMI® – the leading manufacturer of commercial safety, hosted it’s 15th School Bus Crash at the Center for Advanced Product Evaluation (CAPE®) as a part of ongoing school bus safety research. 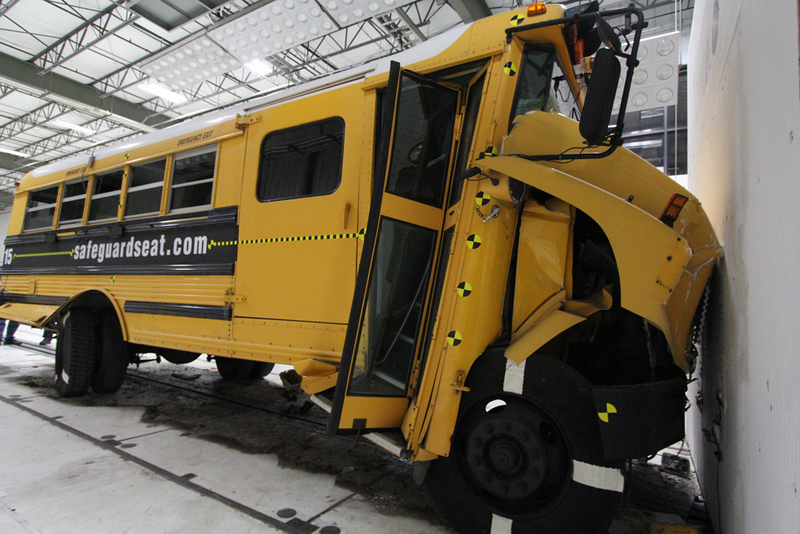 Transportation directors, school officials, and school bus industry leaders toured the campus and participated in the entire safety process — from building the seats bolt-by-bolt to crash testing them for industry-leading safety. 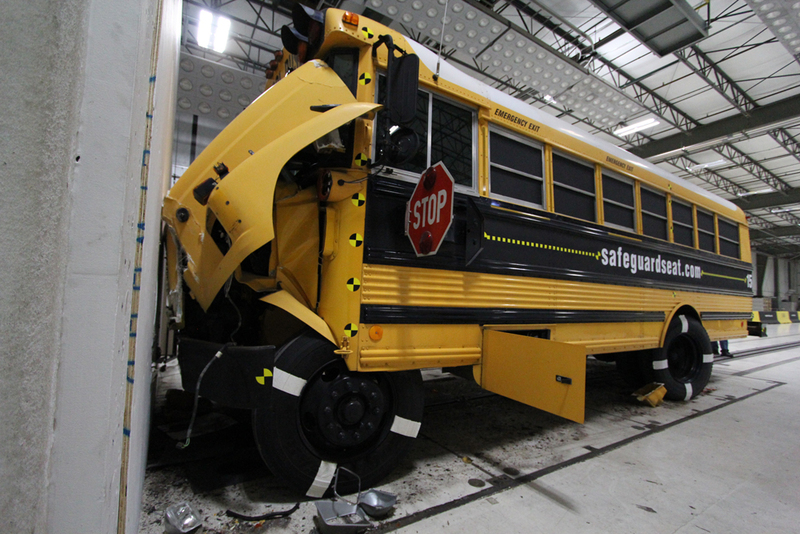 SafeGuard and CAPE have crash tested more school buses than anyone in the country. Just last year, we crashed two large school buses, and we heralded in 2014 with another test to study the safety benefits of compartmentalization in a more real-life scenario. Like in previous crash tests, we placed unrestrained test dummies in incorrect seat positions (not sitting down and facing forward) to simulate what really happens in a bus full of children. In addition to this, we added everyday objects you would find on the bus — cooler filled with water bottles for a field trip and dummies wearing back packs like most young students would do. It’s eye opening what happens – watch for yourself.